Home Blog What is Male Testosterone Replacement Therapy? As an expert who offers male testosterone replacement therapy options to men throughout the Palm Beach Gardens area, Dr. Mikhail Berman is well versed in hormone deficiencies and treatments. As men age, a drop off in testosterone may be normal, but that doesn’t mean that the numerous side effects are either welcome or inevitable. In fact, many studies have shown that with the proper treatment at a testosterone replacement clinic, symptoms associated with low testosterone can be drastically reduced. When testosterone levels dip, the side effects can include fatigue, erectile dysfunction, low libido, insomnia, depression, and mood changes. Both physical and mental acuity and strength can be severely affected, making many men feel as though they are no longer themselves. When this happens, it can severely impact feelings of self-worth and esteem. Fortunately, however, a low t doctor like Dr. Mikhail Berman may be able to assist. Everything from weight to genetics can impact levels of testosterone in the body. It’s only through a licensed medical doctor like Dr. Berman that one can properly identify whether a hormone imbalance exists and what precisely caused the issue. Once the proper screening and evaluation has been conducted, a discussion regarding treatment can be had and an appropriate course of action pursued. How Does Male Testosterone Replacement Therapy Work? Millions of men suffer on a daily basis from the effects of low testosterone, even though only one out of four individuals are likely to ever realize what the cause of their problems are. Perhaps one of the most common symptoms of low testosterone, fatigue, is often attributed to other problems, meaning that treatment is never sought. Since testosterone assists so much in metabolism, it’s no surprise that it can affect energy levels so much. When feelings of exhaustion are felt, it’s imperative to seek out treatment as soon as possible before symptoms increase and energy levels decrease even further. With testosterone replacement treatment from a trusted physician like Dr. Berman, patients can introduce bio-identical testosterone into the body in order to return the body to normal hormone levels. When this occurs, fatigue can often be eliminated as can other symptoms, such as insomnia and depression. Dr. Berman is well known throughout Palm Beach Gardens as having one of the safest and most reliable treatments at his male testosterone replacement clinic. Along with his hormone treatments, his caring approach and commitment to his patients has made him a highly trusted and respected physician. 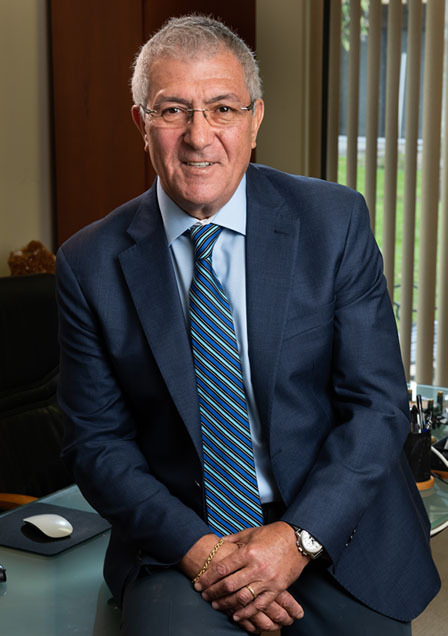 Over his 30 years of experience, Dr. Berman has witnessed the powerful impact of male testosterone replacement therapy for men on many occasions. Men of all ages have sought his care as a means of correcting hormone deficiencies and enjoying renewed strength and energy in their lives. While they once felt compelled to give up enjoyable activities due to a lack of motivation, they now thank Dr. Berman for helping them enjoy many aspects of their youth once again. If you’re tired of feeling tired and depressed and you’re ready to discover the root cause of the problem and pursue the best possible treatment, look no further than the low t clinic of Dr. Berman. To schedule a consultation at our practice or to learn more about the many benefits of testosterone therapy, give our clinic a call today at (561) 841-1837.